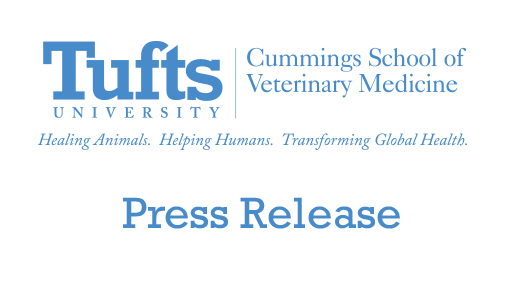 The continued emergence of new diseases from wild animals, the effects of human activities on endangered species and the impact of climate change on biodiversity are just a few of the topics to be examined in a new and novel Master of Science in Conservation Medicine degree program under development at Tufts University’s Cummings School of Veterinary Medicine, announced today. The interdisciplinary program, drawing upon faculty from schools across the university, will engage graduate students from a variety of fields to confront the disciplinary gaps that obscure the broad view of one health on Earth—essentially, a reframing of the way health research is studied and ultimately applied. The one-year, non-thesis program was approved by Tufts University trustees in April and the Regina Bauer Frankenberg Foundation for Animal Welfare has provided a leadership grant to develop the new program over the next year. 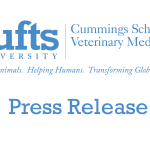 In addition, long-standing funding from the V. Kann Rasmussen Foundation has supported the Tufts Center for Conservation Medicine (TCCM) at the Cummings School and laid the groundwork to make the new academic degree program possible. The TCCM was the first university-based center devoted to the study of conservation medicine. Over the last twelve years, the center has established programs in regional and international conservation medicine research, and developed a novel curriculum in conservation medicine in the veterinary program at the Cummings School. The center’s diverse faculty, which includes wildlife veterinarians, epidemiologists, ecologists, large animal veterinarians, wildlife policy experts, and others, has pursued both international and domestic research in infectious disease transmission, environmental toxicants, humane animal population control and environmental monitoring. Graduates of the Conservation Medicine master’s program will enter the workforce equipped to coordinate teams of colleagues from widely varying disciplines to attack global and broad-based health challenges, said Dr. Deborah T. Kochevar, DVM, PhD, dean of the Cummings School of Veterinary Medicine at Tufts University. At the advent of a century characterized by rapid global environmental change and an apparent increase in emerging infectious diseases, this new program is exceedingly timely, said Katherine F. Smith, PhD, an assistant professor of ecology and evolutionary biology at Brown University and a consulting senior scientist at the Wildlife Trust. Tufts’ master’s in Conservation Medicine will produce a timely new generation of scientists able to tackle the growing number of emerging diseases resulting from human changes to the environment. Our graduates will provide new perspectives to these challenges through an array of roles in state, federal and international public health organizations, wildlife and environmental agencies, non-profit conservation organizations, academic research institutions, corporate sustainability programs, private foundations, and others engaged in finding solutions to our global health concerns, added Gretchen E. Kaufman, DVM, director of Tufts Center for Conservation Medicine. They will, we hope, seed the health sciences and health policy establishments with a new concept of health, one that grasps the unity and interdependence of human, animal, and environmental health. The program is the latest in a string of new additions to the Cummings School’s offerings, which include a new program in shelter medicine, as well as combined DVM degree programs in laboratory animal medicine, comparative biomedical sciences and public health. The school graduated its second PhD student in May and also offers a master’s program in Animals and Public Policy. More information can be found on the Tufts Center for Conservation Medicine and Master of Science in Conservation Medicine Program websites.